Driving should be made as easy as possible. It is not just for the driver, but also for the passenger and other people in the area. The 2019 Audi Q7 has addressed this concern to our satisfaction. We at Audi Wyoming Valley are proud of the work that has gone into this vehicle. There are tons of technology features that are designed to bring forth tons of enjoyment and entertainment. 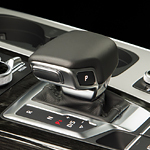 However, the most important feature of this vehicle is the Driver Assistance Package. These are a set of features that help you with the driver by alerting you to any potential problems on the road. Another feature that is going to be encouraging on a test drive is the Bang & Olufsen advanced 3D sound system which brings music and entertainment to life in ways that will enhance your ride. The Audi Q7 is not a vehicle that holds out when it comes to features.